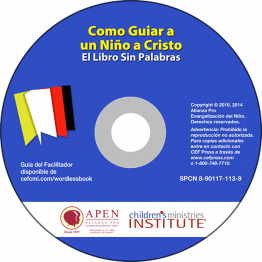 Training in effective methods for using the Wordless Book are now available on DVD. Great for summer ministry: VBS, 5-Day Club®, camp, fair ministry and mission trips, Sunday school training or AWANA. The 30-minute seminar is designed to equip individuals to effectively present the message of salvation. Also, included is a complete demonstration of a Wordless Book presentation. Training for your teachers on how to lead a child to Christ using the Wordless Book.